Pigmentation can be defined as the colouration of the skin. Our body contains a pigment called melanin which determines the colour of our skin, hair and eyes. Darker skin types will have more melanin in their skin cells than those with lighter skin. When skin cells are healthy, your skin will appear normal and even. However, when skin cells become damaged or unhealthy, extra melanin is produced to help protect your skin. Alternatively, the cells that produce pigment can be damaged, which prevents melanin production. As a result, parts of your skin may turn lighter or darker, both of which are recognisable skin conditions. The treatment leaves the skin with a lighter, brighter even skin tone with natural looking results. 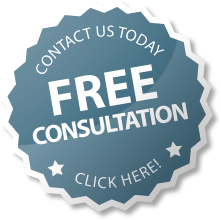 Our most common treatment is Facial Pigmentation Laser . One of the quickest and simplest ways to restore a clean youthful look to the skin. Removal of unsightly spots and blemishes can take many years off your face. Freckles, age spots and other minor blemishes are caused by melanin, a substance which gives our skin its colour. 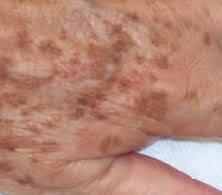 When melanin gathers in one spot, it becomes apparent as a discoloured area. The wavelengths of light produced by laser technology are designed to be absorbed by these pigmented areas; the powerful light then “shatters” the pigment, causing it to be drawn to the surface, the pigmentation will dry and fall off the area treated. The spots will gradually disappear. The treatment is not painful however any discomfort experienced can be eased with an ice pack. Yes, the treatment offers an immediate return to routine activities. In fact, clients often schedule appointments during their lunch break and have no trouble return to work afterwards. Some clients experience an immediate reduction in the appearance of pigmentation however best results are seen over time, as hyperpigmentation gradually fades. HOW MANY SESSIONS DO I NEED AND HOW SOON CAN I EXPECT TO SEE RESULTS? This really depends on your skin type and skin issues. Significant improvement can be experienced after a single session however many clients book a course of treatment for the best results. 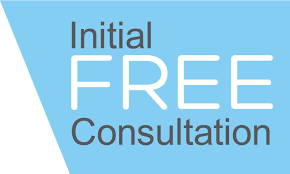 Our expert practitioners will help you determine how many sessions you require to achieve the results you desire. When you come to see us for your first treatment, the Laser Practitioner will fully explain the procedure to you, and ensure you are comfortable before proceeding with the treatment. We can not treat you if you have suffered sunburn or tanning in the previous 2 weeks, or if there is an unhealed areas. Also if you have used Vitamin A recently we will not be able to proceed. After the treatment, the treated area may have some blood spotting, and these may take about a week to heal. Inflammation (active redness) is a consequence of fibroblast collagen resulting in more elastic skin. This is the process of destroying old skin and creation of new skin. Although it is very rare you may experience reactions such as skin sensitivity or other similar reactions during the course of your treatment an ice pack can provide soothing relief. With repeated treatments you will notice a steady improvement in the skin appearance. The frequency of treatment is usually every 2 to 4 weeks.